Shooters told us they wanted all the best features packed in one design, in order to maximize a lifetime investment. The answer is the Gas Can™ 7.62mm Suppressor. 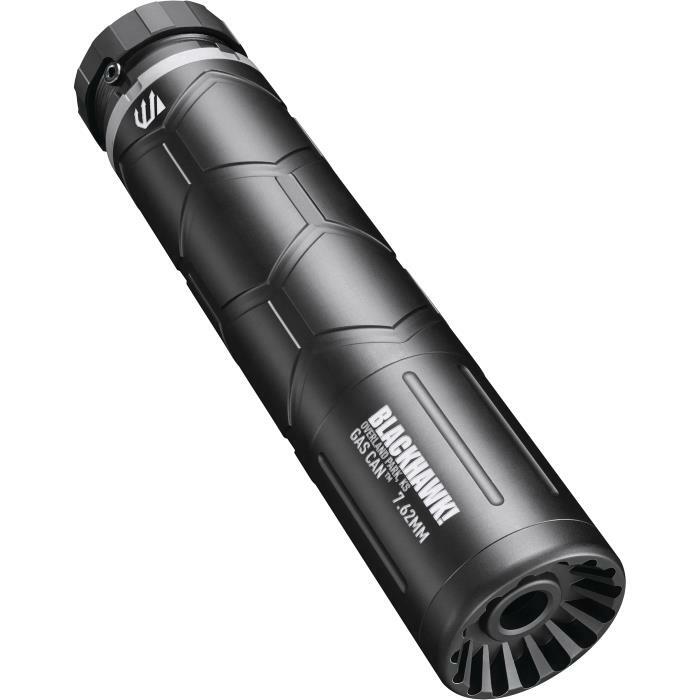 The Gas Can™ is BLACKHAWK!’s® most versatile centerfire suppressor. It combines best-in-class sound reduction, low weight, extreme durability and wraps it all in a signature look. Full-auto rated and hearing safe to .300 Win Mag., the Gas Can™ reduces a .308 by 36dB – better than any ear muff could ever protect. The Quick Disconnect mount and muzzle brake allow fast switching to different hosts.